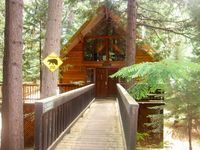 Property 8: The Herrera Hideaway: a Shaver Lake cabin! Adventure begins here! Property 13: "Yosemite's Suite Retreat" Gingerbread Tiny House Perfect for 2! Property 24: Cozy cabin for two with furnished patio - close to the village and the lake! Property 25: Yosemite vacation rental 30 minutes from Yosemite Valley's main gate. 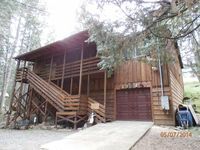 Property 26: Cozy, Clean Cabin Near Shaver Lake - Prime Location! Property 37: Rustic A-frame cabin with spacious deck and great location! Property 39: Chipmunk Hollow - Get Your Nature On! Property 42: This quaint cottage is the perfect home base for your Yosemite trip. Property 44: Fire Escape Cabin-Fun Fire Department Theme ! 12 miles to Yosemite gate! Property 48: 'Yosemite's Suite Retreat' Little Bear Tiny House. Studio Perfect For 2! Property 50: Charming Cabin at Beautiful Bass Lake.